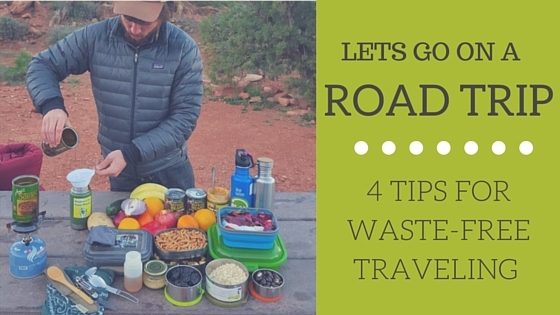 With the summer season upon us what better way to kick it off than with a waste-free road trip! While enjoying the scenery of a new place, it’s important to be mindful of your impact. By taking these few extra steps you can cut your trash in half while on the go. Most of the stops you make while on the road will be for food. Cut down on some of that time by packing plenty of snacks and drinks in reusable containers to keep your family energized. Trail mixes, energy bars, fruits, and veggies are easy-to-pack snacks that will keep your car full and happy. Stopping for lunch? Pack your favorite blanket and make a picnic out of it! Many routes have rest areas or scenic pull-offs that double as great places to stop and eat while stretching your legs. When packing the car try putting all overnight luggage in the back and set up crates or reusable bags near the front of the trunk for all food and drinks. This way you will have all of your necessities easily accessible. Also, don’t forget extra water, on-the-go containers, utensils, and small towels or cloth napkins for any spills. Throw in some extra reusable bags for anything you pick up on the road! This can be tricky while on the move, but by packing an extra glass jar you can “carpost” any of the food waste from the trip! 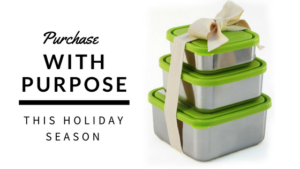 Choose a sealable container to keep in the trunk and dispose of all scraps. 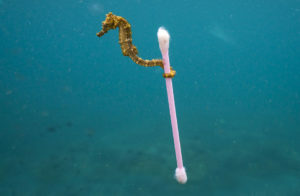 Keep all non-compostable items together and discard them when appropriate. Running low on food or interested in taking a detour to sample the local cuisine? Farmstand is a free app that will connect you to more than 8,000 farmers and local markets nationwide. You can sort markets by location and opening times. Bulk is a new app by our friends at Zero Waste Home to connect you with package-free locations across the country. Find different markets and shops to refill your reusable containers or jars while traveling. Help continue the movement by adding locations not already listed. Our friends at PLAN Post-Landfill Action Network took the above picture on their latest waste-free camping trip in the Moab Desert to spread the word. Check out this blog post covering their latest update from the zero-waste road trip and more tips for on the road. 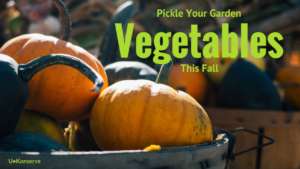 Pickle Your Garden Fruits and Vegetables This Fall!